The Experienced Travelers send greetings from the wild western coast of Brittany. 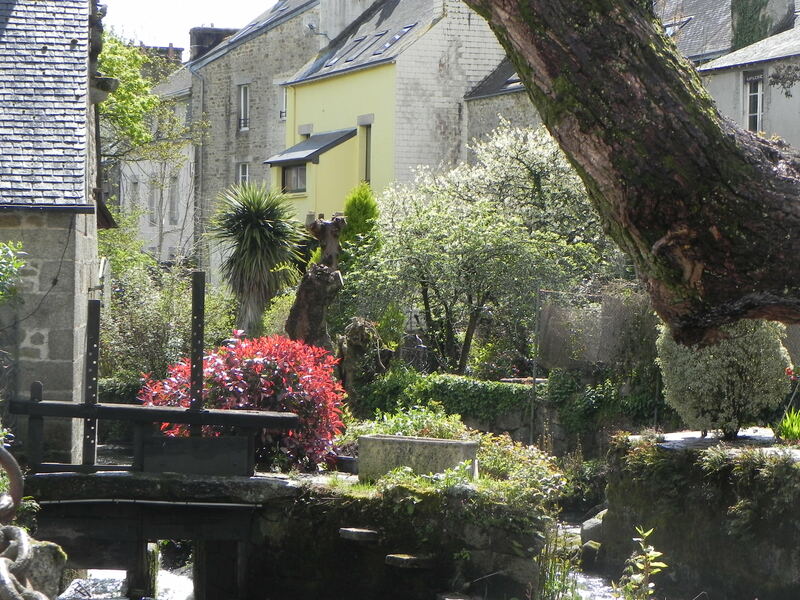 Our base of operations in Pont-Aven is just right – large enough for a good crêperie and small enough for a quick exit. 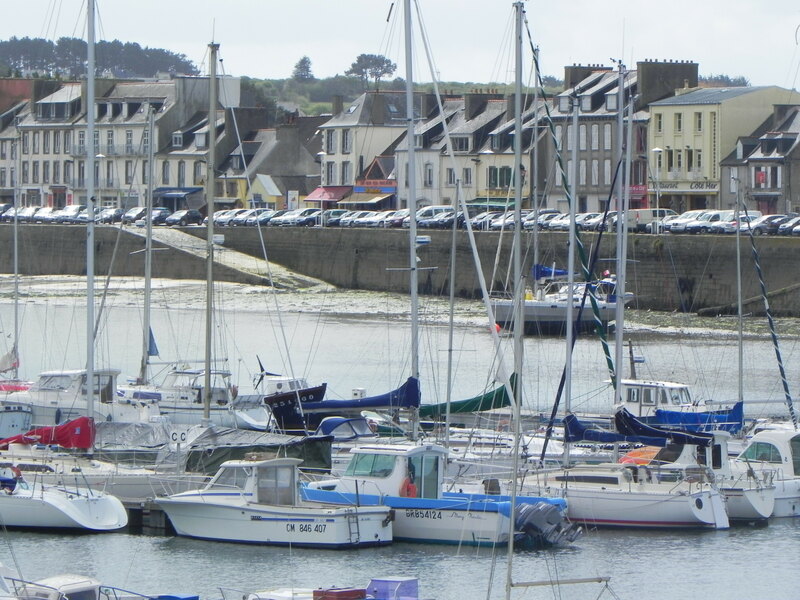 The harbor at Camaret. The ETs thought any of these boats would do nicely for a cruise after our seafood lunch. When we weren’t thinking about our next meal, we were amazed by the natural beauty of the area. The French foolishly rented us a large vehicle which was fast, comfortable and just as wide as most of the roads we traveled. 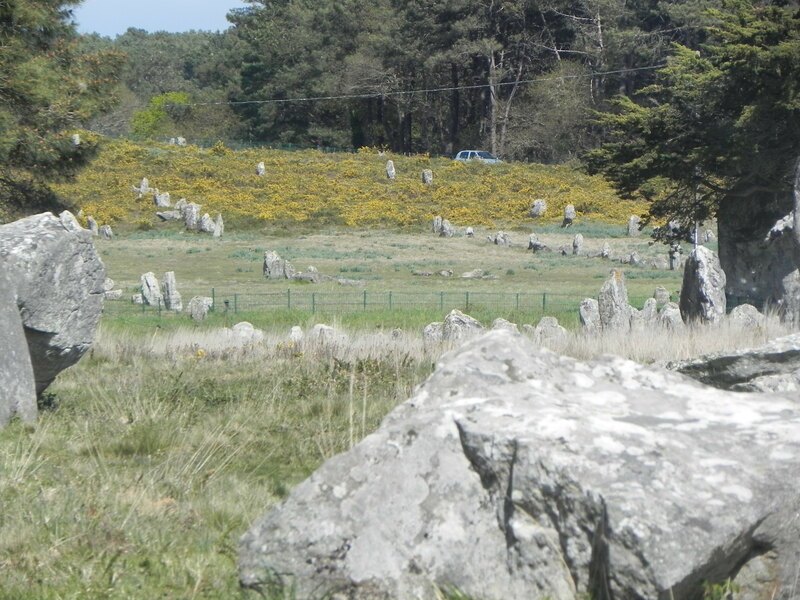 The ancient stones near Carnac. Not to be mistaken for a test-drive course in a rented Peugeot SUV. I take no responsibility for the mark on the front right fender which has nothing to do with Brittany’s famous standing stones that are older than Stonehenge. 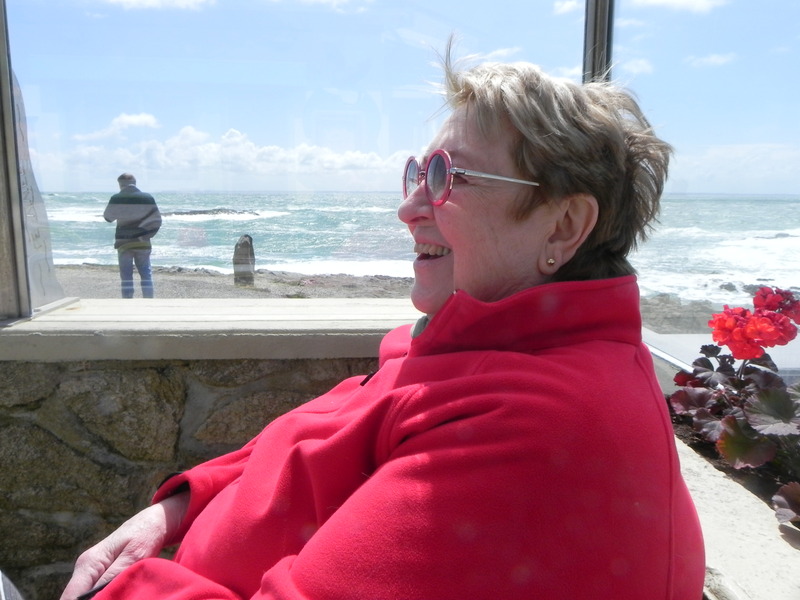 Nurse on the Quiberon coast waiting for.... more oysters. 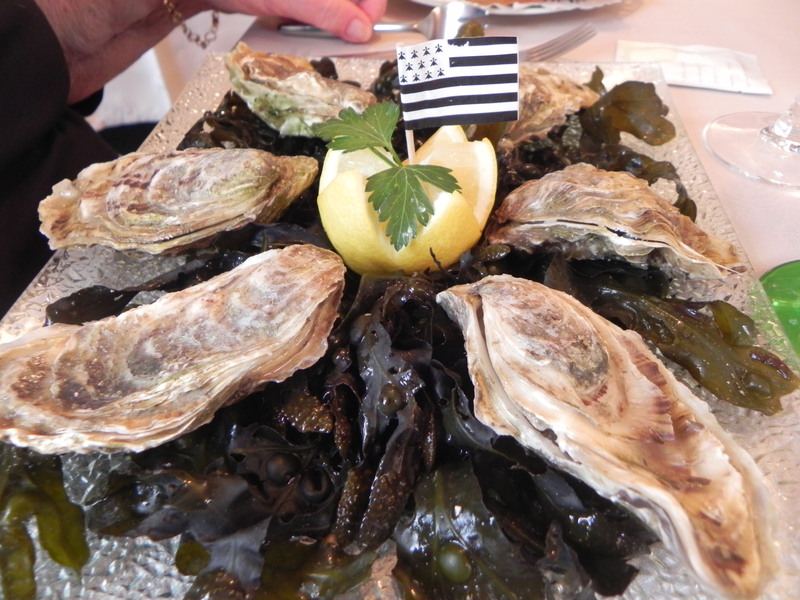 We’ll write in more detail about our visit to Brittany, once we’ve had a chance to settle from the seafood and Crêpes Bretonne. Meanwhile we have a train to catch…..